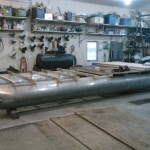 View photos from some of our previous work. 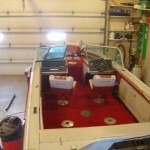 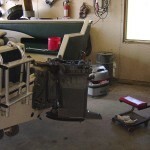 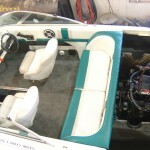 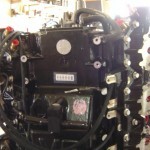 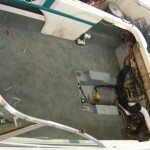 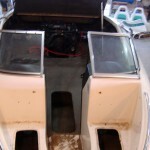 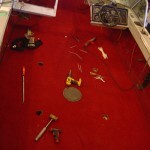 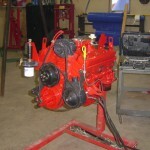 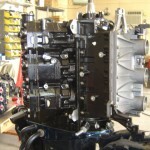 Total overhaul on this 1993 Rinker; flooring, interior, and mechanical. 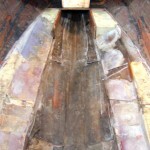 We also replaced the exterior vinyl stripping. 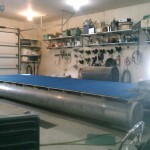 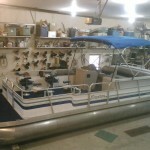 This pontoon was brought in for new carpet, due to water damage, and ended up with all new decking and carpeting. 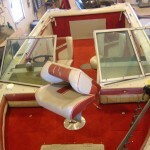 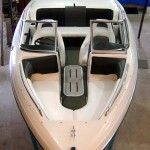 We also removed the hard top and installed a Bimini cloth top. 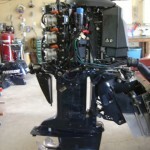 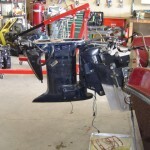 This outboard required a new power head due to a lack of winterizing. 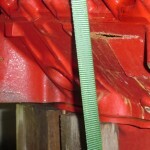 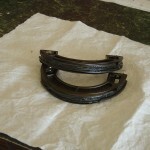 This caused all of the cylinders to rust, which resulted in lack of compression. 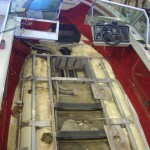 This customer had a rotten floor with the supports under the floor and rotten stringers for the engine motor mounts. 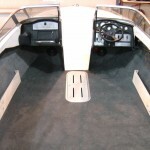 We refurbished this boat to almost new condition with extra supports under the flooring, new carpeting and remounting of the seats. 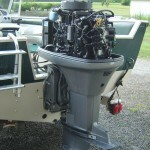 This boat required a new engine due to lack of winterizing. 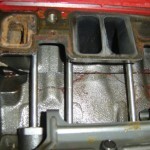 The engine was cracked inside the block and outside. 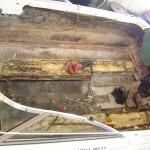 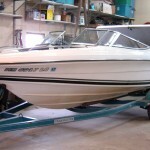 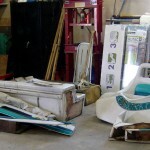 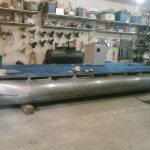 This is why it is important to make sure your boat is properly winterized before storage. 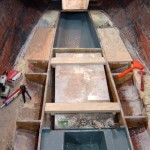 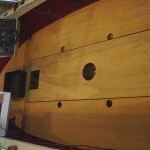 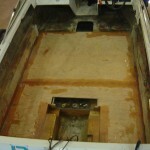 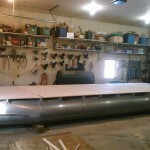 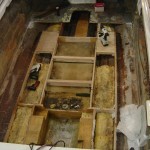 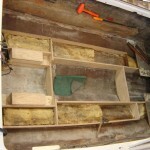 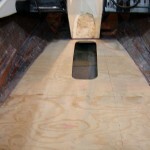 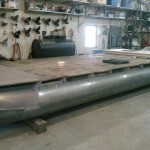 This boat got a complete new floor with a custom platform in the front for fishing. 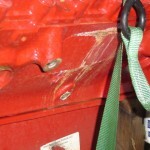 Luckily, this customer’s warning horn worked, letting them know that the motor was not getting any oil. 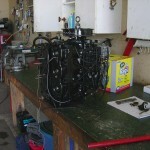 The pump drive gear was stripped out and had to be replaced.